The opportunity comprises of office space of circa 1000 sq. Ft, spread between four rooms. Large rectangular room with an area portioned off for storage. Front aspect. Dual aspect corner positioned room. Spacious. Large room that can be hired out on availability at no additional cost. Front aspect. Medium sized room that can be hired out on availability at no additional cost. Front aspect. The offices are accessed via a flight of stairs from the ground floor and lead to an open plan reception area, leading to the office space. There are shared kitchenette facilities plus a Male and Female WC. There is a meeting room and a board room that are available for no additional charge, subject to availability. There is allocated parking in the parking and further car parking in the area. 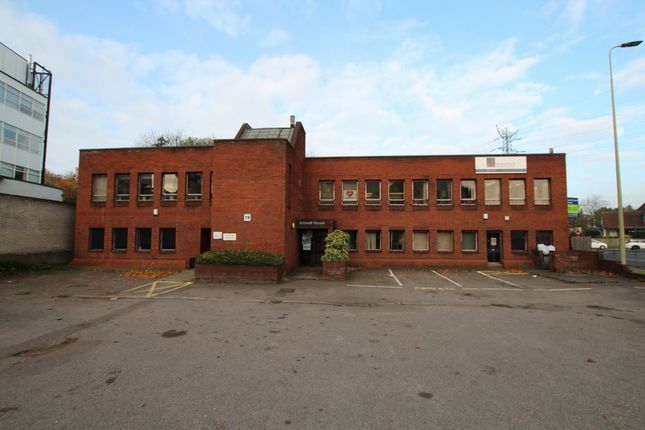 The property is available to let with rent inclusive of business rates, service charge, buildings insurance, fair water usage, fair electric usage and fair gas usage. Incoming lessees will be required to make their own arrangements for phone/broadband. There will be a mutual break-clause in June 2020. There are a range of daily amenities within a very short walk. Easy access to main roads and motorways such as the A10, the A414 and the M25. Close to Broxbourne train station and to Rye House train station for service to London Liverpool Street and Tottenham Hale for the Victoria Underground. Property descriptions and related information displayed on this page, with the exclusion of Running Costs data, are marketing materials provided by VIA Properties, and do not constitute property particulars. Please contact VIA Properties for full details and further information. The Running Costs data displayed on this page are provided by PrimeLocation to give an indication of potential running costs based on various data sources. PrimeLocation does not warrant or accept any responsibility for the accuracy or completeness of the property descriptions, related information or Running Costs data provided here.